We’ve sweetened your shelf, we’ll do the same for your email. Join our Honey Club and you’ll get exclusive access to special offers, product discounts plus you’ll receive our FREE monthly digital magazine, HIVE. 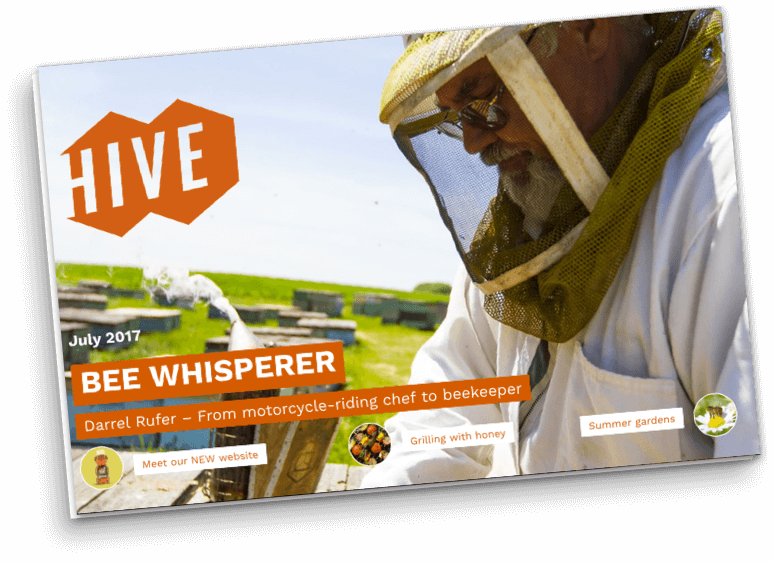 Filled with behind-the-hive interviews with our beekeepers, tasty new recipes, seasonal tips, craft ideas and other ways to use honey, this monthly magazine is exclusively for our Honey Club members. 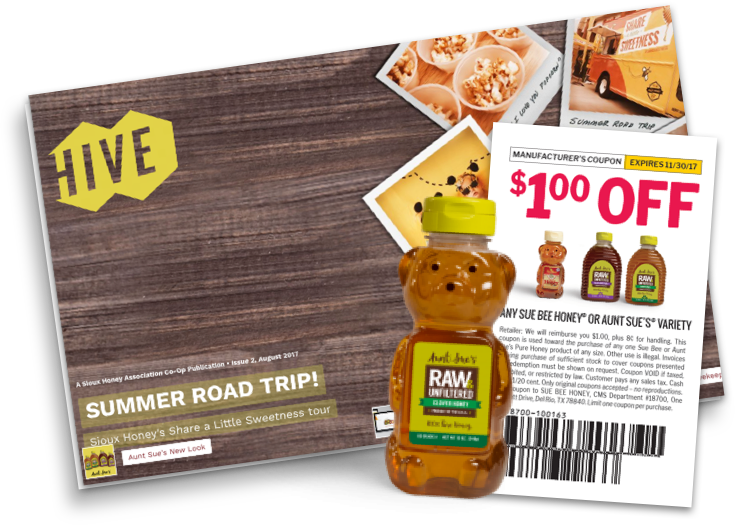 Giveaways, such as honey, coupons and discounts. Free recipes, do-it-yourself honey ideas, and much more.